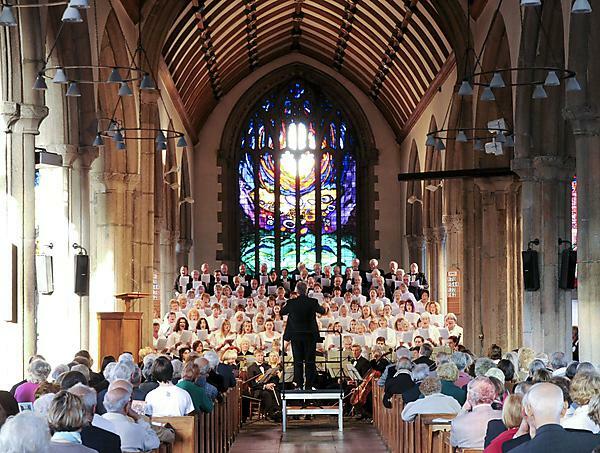 The University of Plymouth Choral Society has raised vital funds for the University’s Brain Tumour Research Centre of Excellence at a signing workshop. The choir, led by musical director Simon Ible, sang favourite choruses by Handel, Vivaldi, Mozart and Bach at St Paul’s Church, Yelverton. The event offered free admission to an informal afternoon performance with a retiring collection made in aid of the Plymouth University Brain Tumour Research Centre of Excellence. Those in attendance gave £116.98 in cash donations, which will go towards research into the prevention and treatment of brain tumours. Simon will be involved in another event in aid of the Centre of Excellence on October 18 (6.30pm to 7.30pm) when he conducts the Peninsula Doctors’ Orchestra in Theatre 1, Roland Levinsky Building, Plymouth University.